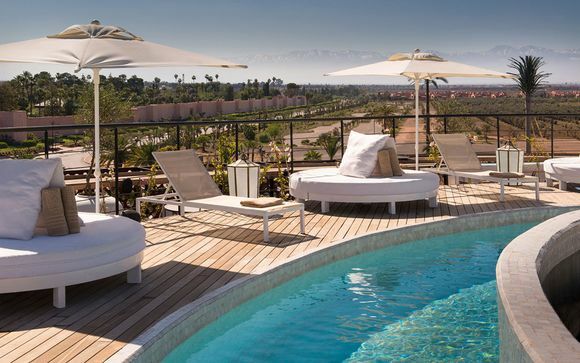 Great deals to Morocco up to -70% off To take advantage of these offers, join now for free! Don't miss out on some great deals to Morocco, and escape to this incredibly beautiful country that enchants the traveller with mysterious landscapes and thrilling cultural blends. Morocco, translated from its Arabic name al-Maghrib, means "Western Kingdom" and consists of beautiful mountain ranges and stunningly gorgeous desert regions, bordered by magical Mediterranean and Atlantic coastlines. Apart from the breathtaking natural sites, Morocco has a diverse blend of different cultural influences, with African, European and Arabian shades all coming together in the wonderful cities and destinations of this fabulous country. Here are some of the highlights of the most luxurious destinations to be found if you book a great deal to Morocco. Located in the foothills of the Atlas mountains, Marrakesh was previously the capital of Morocco and is still the name used for Morocco in many languages. Fully immerse yourself in Marrakesh by exploring the bustling old city centre, known as the Medina, where the souks, bazaars and mosques of the city explode with colour and culture. 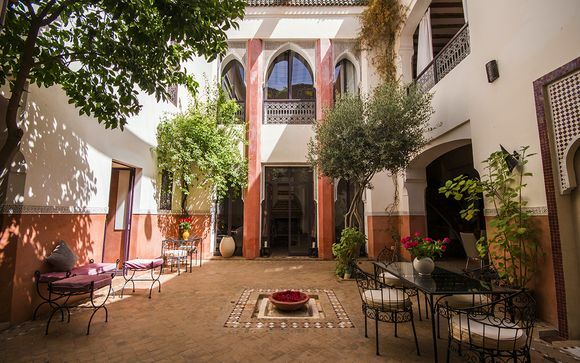 Afterwards relax in the lush luxury gardens of the city, or go to the hammam (Moroccan sauna) where you can unwind and reflect on the immense cultural riches this city has to offer. 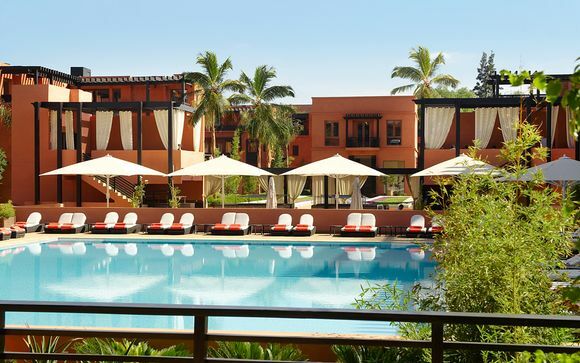 Marrakesh has a wide selection of luxury hotels which are some of the best and most aesthetically captivating in the world. 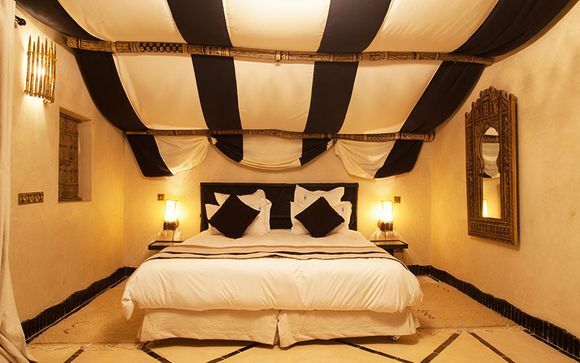 Checkout some of our exclusive prices today for the chance to experience an especially mesmerising holiday in the heart of Morocco. 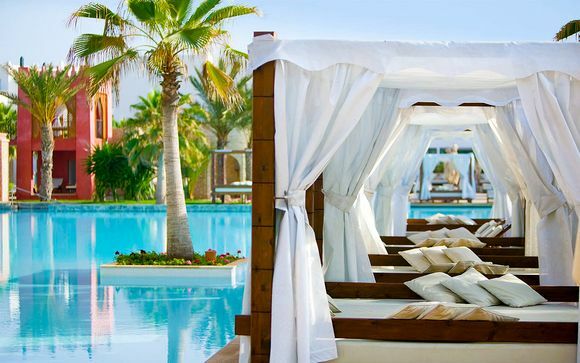 Enjoy all of this browsing our great deals to Morocco. Travel from mountainous Marrakesh to Essourira. This fortified city overlooks the Atlantic and is the perfect retreat for a couple looking to getaway from the more hectic tourist attractions. Essouria is quintessentially a fabulous seaside town with all the markers of Moroccan romance and authenticity. Stunning seafood dishes abound in this special seaside sanctuary and the nearby white sand beaches is a brilliant counterbalance from the Moroccan desert. 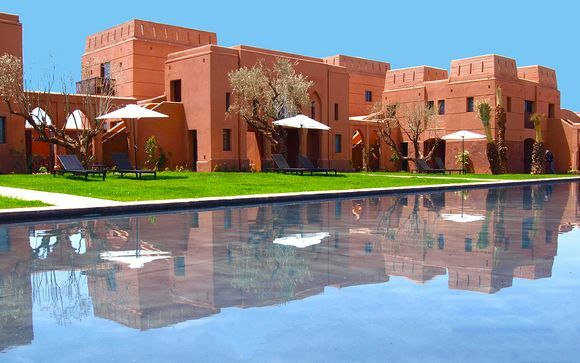 There are some great deals to Morocco in this ocean town that simply can't be missed. Fez is the oldest imperial city in Morocco and is also incredibly diverse. It is composed of three distinct cities: Old Fez, New Fez and the Modern French Fez. Each part of the city creates an incredible abundance of cultural and architectural dynamics. Gorge yourself on delicacies at the famous Camel butcher, or take in the pungent smells of the Chouara tannery, where the wonderful materials on sale in the bazaar acquire their vibrant colours, or even find yourself overcome by the delicious smell of Khobz, a traditional flatbread, produced by the bakers of Fez. 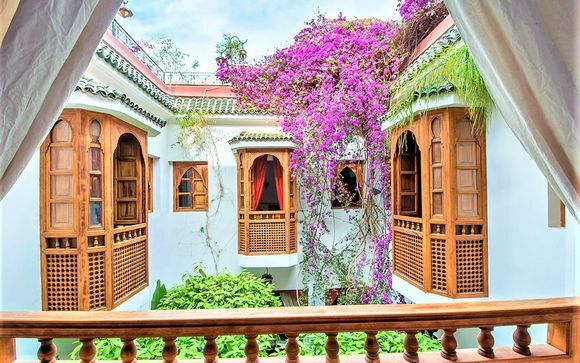 Finally retreat to the Riads, the oases of the city: these medieval mansions, which have been converted into wonderful luxury hotels, covered in ornate tile work and adorned by fountains and intricate hallways, are mini paradises. 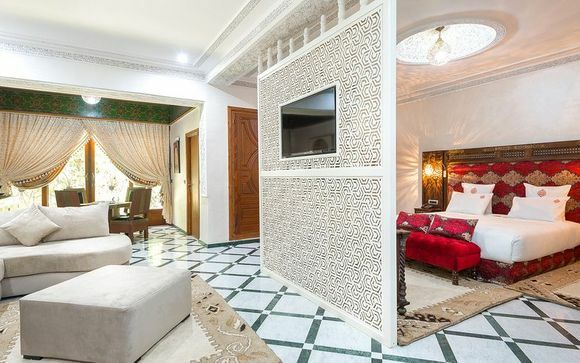 With exclusive prices and discounts of up to 70% on a range of great deals Morocco, consider a Moroccan holiday, a special treat for you, your family or partner.